Dr Tristan Ewins is proposing a new ALP Model Platform with the aim towards a reformed democratic economy. Another name for this phenomenon is convergence politics. In Australia there is convergence on the economy, with debates focusing on relatively minor differences; but where heated debate on the so-called culture wars fills the vacuum. Every day in the mass media, we are subjected to the positions of ostensibly Centre Right and Centre Left political parties. But, in reality, the relative centre has shifted way-right on the economy since the 1970s and dissent against that orthodoxy is minimal. Where it occurs it is modest. The Hawke-Keating years saw convergence on economic Neo-liberalism in Australia and there has been no significant turning back since. Kevin Rudd attempted a mining super profits tax but was quickly disciplined by the mining industry and removed in short order with a palace coup. For a time, Sam Dastyari focused attention on corporate tax evasion, but while it arguably costs the Australian people tens of billions annually, in reality Dastyari’s proposals were minimal – in the hundreds of millions. Julia Gillard delivered a National Disability Insurance Scheme, but it was argued that savings had to be made elsewhere to compensate; the logic of which was thereafter embraced more enthusiastically by the Liberals. Under Bill Shorten, Labor has committed to reforming Superannuation Tax Concessions, making some cuts in the applicability of Negative Gearing and reforming Capital Gains Tax Concessions. The Guardian argued in 2016 that these measures would save $100 billion over ten years. This is substantial in the relative scheme of things, but less impressive when you consider inflation. Perhaps, after that is factored in, we’re talking about around 0.5 per cent of GDP in a $1.6 trillion economy. Shorten received a lot of kudos from the Australian liberal left, for instance Fairfax journalists, for these bold policies. But the fact these measures are considered so remarkable only underscores the reality of convergence politics in Australia on the economy. Meanwhile, vigorous debate rages in the context of the culture wars. The Equal Marriage debate has been won, but at a cost whereby Australia’s economic and cultural Right-wing are attempting to claim substantial Christian strata as a base. This should not be taken for granted, it should be fought; socially Conservative should not necessarily mean economically Conservative or economically Liberal, nor should Christian necessarily mean socially Conservative. And now debate turns to the date for Australia Day and the content of the National Curriculum, or at least how it is applied in Victoria. These debates are truly important. They are more than distractions. After the Australia Day debate, the next logical step is for a treaty with Indigenous peoples. And Conservative attempts to promote a National Curriculum, which mixes Ideological Liberalism with uncritical Nationalism, are deeply concerning. But Labor’s position on the National Curriculum is also, arguably, too conservative. Arguably, the National Curriculum should promote active, informed and critical citizenship, which means deep and inclusive pluralism when it comes to informing students of the interests, social movements and ideological perspectives that have comprised Australian society. Here, I am thinking along the lines of post-Marxist Chantal Mouffe’s radical pluralism, or Agonistic Democracy and how those principles might be reflected in curricula. Nonetheless, these debates are more tolerable for capitalists and the wealthy than debates which question Neo-liberalism, labour market deregulation (but no right to strike), and small government. Perhaps the debate on Education is less tolerable here than the Equal Marriage debate. There is the potential to detract from narrow emphasis on labour market demands and to encourage critical thinking and active citizenship which may meaningfully strengthen our democracy. The debates are substantial and not merely distractions; but the way public debate is presented, they do constantly and over the long term deflect attention away from a substantial, more wide-ranging debate on the economy and especially economic power and inequality. Debates are also framed in such a way as to divide Labor’s traditional constituencies; with the decline of class as a central reference point and erroneous assumptions of essential working class conservatism and aspirational mentality. Political correctness is also regularly beaten up in order to weaken Labor’s base via attrition. 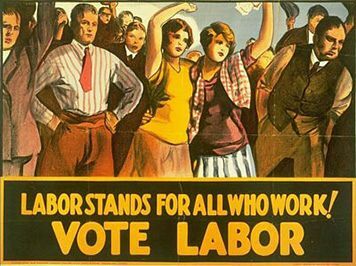 In response Labor needs policies and language which promote social solidarity. But anything which truly questions convergence is summarily dismissed as Hard Left. Outgoing Labor President Mark Butler has made welcome demands for internal democratisation, but his description of British Labour’s Jeremy Corbyn as Hard Left is regrettable. Corbyn is trending towards something more traditionally social-democratic and has plans for railroad and utility re-nationalisation that would set a precedent whereby decades of privatisation are not necessarily permanent. The policies are progressive, but not radical and Butler’s dismissal of Corbyn shows that convergence thinking still has a strong grip, even within the ALP Left. What would a break from convergence politics look like? The author of this article has been working on an updated – yet unofficial – 'Model Platform for Labor', currently in draft form, which is suggestive of a genuine reform footing for the ALP. As a democratic socialist, my long-term aim is the eventual surpassing of capitalism with a truly fair, rational and democratic economy. But even Marx understood that the transition from feudalism to capitalism took centuries, though Marx did think socialist revolution a nearer prospect at the time. Now there is the likely prospect a clear and genuine break will not occur in our lifetime, though the prospect of further crises and economic convulsions is nonetheless real. Perhaps barbarism is the more likely prospect, though we have to fight. On the other hand, many on today’s Left still look to the Nordics for inspiration. 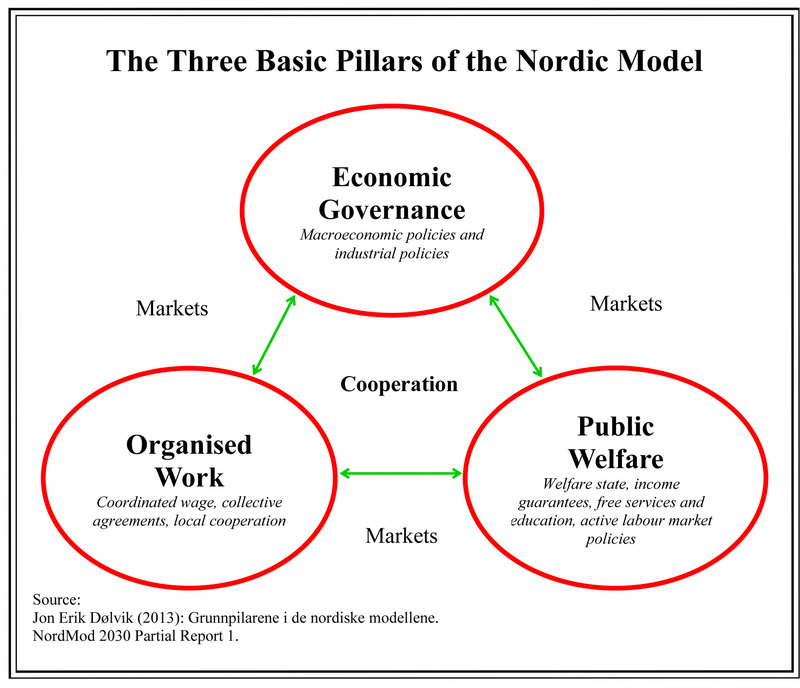 The Nordic model may not have abolished capitalism, but what some see as the end goal is not everything. Billions of people will live in the context of historic compromises we fight for over the decades to come. Their security, opportunities and happiness truly mean something with or without the over-arching capitalist context, yet sadly most in the Labor Party have not supported policies which meaningfully progress Australia towards something Nordic-inspired. The ALP 'Model Platform' – otherwise known as 'For an Equal and Democratic Australia' – suggests a short-to-medium term orientation, which breaks with convergence thinking and has the meaningful aim of reaching the OECD average Tax-to-GDP ratio over as long as three terms of Labor Government. That means raising progressive tax by $80 billion per year in today’s terms, or five per cent of GDP, keeping in mind that the economy is worth over $1.6 Trillion. It falls far short of the Nordics; perhaps over $300 billion per year would be necessary for that, but it is suggestive of meaningful and substantial progress. No more one step forward, two steps back — the forward march of labour re-commences. What this means is substantial progressive restructure of Australia’s tax mix; funding big improvements to the social wage, welfare and public provision of infrastructure. It also means National Aged Care Insurance, slashing hospital and public dental waiting lists. It means industrial rights and liberties including a re-regulation of the lower end of the labour market which delivers to the working poor, strategies to improve life expectancy for Indigenous Australians and the mentally ill, progress towards free higher education, support for mutuals and co-operative enterprise – with strategic public co-investments which help these maintain the scale necessary to remain competitive – an end to insufficient and punitive welfare, a big investment in public housing and much more. These are central to the ALP 'Model Platform', a document intended to influence debate leading up to Labor’s National Conference this year in July, 2018. Those who want to support the 'Model Platform' can "Like" the ALP Model Platform Supporters page on Facebook and take part in debate there. Labor has long been a broad church with its own internal pluralism, and that is not likely to change. But Labor should straddle the political ground across traditional social democracy to Democratic Socialism, and, arguably, there is also a place for what may be called classical social democrats; radicals inspired by the original (largely Marxist) social democratic parties and those who followed in their wake. Arguably, a strong radical-left can also contribute to the climate of culture and public opinion as well. The Communist Party of Australia never had serious electoral success, but it was a cultural and industrial power. Ultimately it broke with Stalinism and, in many ways, that legacy is important and valid. In the U.S., Democratic Socialists of America (DSA) has been registering impressive gains in membership. They intervene within the Democratic Party, but at the same time they are more broadly-based. They demonstrate how a Left movement can be a cultural, political and electoral force, but not be restricted to a single electoral strategy. DSA includes radical perspectives, but are not narrowly Leninist. Perhaps a similar strategy could also bear fruit in Australia, with a strong challenge against convergence which all progressives should agree has to end. Dr Tristan Ewins has been an activist in the Socialist Left of the ALP for over 20 years and blogs at the ALP Socialist Left Forum. Or you can follow him on Twitter @vaughann722. 7 April 2017, 8:00am Both major parties are aiding Australia's slide into greater authoritarianism.